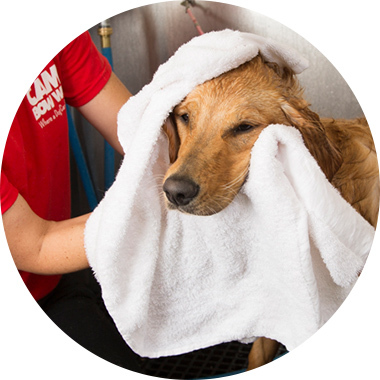 Contact us at (201) 882-0186 to learn more about our dog grooming services. includes bath, trimming nails, cleaning out ears, and trimming fur around paw pads. Pricing varies according to breed and condition of coat. De-shed and De-matting as needed are extra charges. Please contact us for detailed pricing for you camper. Priced per breed and condition of coat. Without a bath/haircut. Pricing varies according to breed and condition of coat. De-shed and De-matting as needed are extra charges. Please contact us for detailed pricing for you camper.